iOS 11 beta 3 has now rolled out to developers (and keen tinkerers) worldwide, and as per usual, the update was worth the wait. Apple has been cleaning up bugs and adding new features with a passion, and we’ve dived into it to get all the details. iOS 11 beta 3 is currently only available to registered developers for now. Apple typically holds new public beta versions for a few days for major updates. iOS 11 still have many bugs in the software, which is to be expected with a beta. A list of new bugs and known issues can be found in the update’s release notes, and developers should read the info carefully. iOS 11 beta 3, like earlier iOS 11 betas, should only be installed on secondary device. iPad App Switcher – When closing an app, the swipe to close gesture has been restored. Previously, it was necessary to hold down on an app and tap the “x” to close it when using the iPad’s App Switcher interface. – SOS – When using Apple’s emergency alert feature, an SOS that’s canceled will no longer send out notifications. – Files app – OS X Server and Dropbox have been added to the Files app on the iPhone and the iPad as new Locations. – TV Providers – Comcast, Cox, AT&T U-verse, Verizon Fios, Time Warner Cable, and more are all listed as new providers in the TV Providers section of the Settings app in iOS 11 beta 3, and they appear to allow users to take advantage of Single sign-on. – Notification Center – There’s no need to swipe a second time to see “Earlier Today” notifications in the Notification Center. All notifications are shown on the first downward swipe to get to the Lock Screen/Notification Center. In previous betas, you needed to swipe down to see unread notifications and then swipe up again to see earlier notifications. Beta 3 simplifies the Notification Center. – iCloud Messages – The syncing feature that uploads your iMessages to iCloud in iOS 11 now lets you know how many messages still need to be uploaded. – Screen Recording – When you 3D Touch the Screen Recording button in the Control Center, there’s a new option to start a broadcast. Right now, the feature works like a standard screen recording and saves a video to the Camera Roll, but it could perhaps integrate with third-party apps in the future for automatic uploads. – Music – When a song is playing in the Music app, tapping the song name from the Control Center will once again open the Music app. –Compass -The Compass app has seen a small improvement to make more of your phone’s built-in sensors. There’s a small cross hair inside the compass dial that shows you how your phone is sitting relative to completely flat. It should help make the compass more usable and accurate, and also makes using your phone as a makeshift level that little bit better. Apple also recently released a special ‘Update 1’ to iOS 11 beta for some devices to resolve a DFU restore issue. Today’s release is available to all users, so it seems like the DFU update has been fixed. 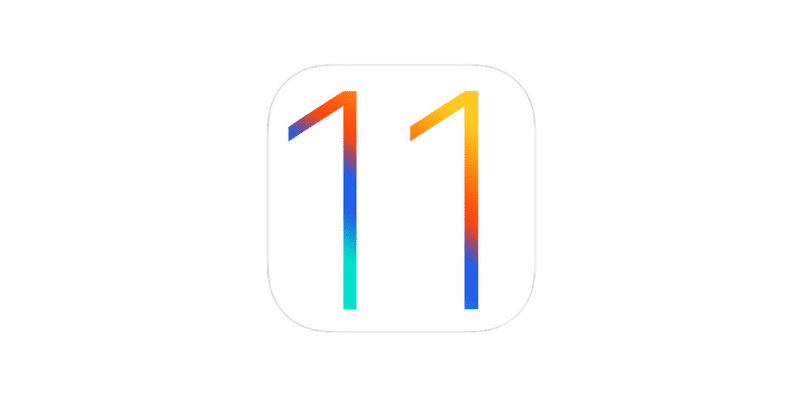 This beta version of iOS 11 contains bug fixes and improvements New Features. This beta version of iOS should only be deployed on devices dedicated for iOS 11 beta 3 software development,download the new iOS for your iPhone.